Home » Writing » “In Fabula-Divino” in a book! “In Fabula-Divino” in a book! 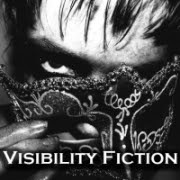 Some of my long time readers may remember early last year when I was uncontrollably excited because my first fiction short story had been accepted as part of a project called “In Fabula-Divino”. The project was open to previously unpublished writers and provided a month of mentorship, editing of the chosen story and ultimately publication on the In Fabula-Divino website. Nearly a year and seven other mentees (no not minties!) later and In Fabula-Divino is due to be released as an ebook and in print this coming week. Our lovely editor and mentor (or Sensei as I like to call her), Nicole Murphy, has partnered with Jodi Cleghorn from eMergent Press for the publication of the anthology. Along with Shauna O’Meara who designed the cover, they have created a lovely book. The anthology also includes stories from established writers Kevin J Anderson and Rebecca Moesta, Trudi Canavan, Angela Slatter, and Kaaron Warren, making the collection a fun mix of speculative fiction from new and established writers. The book is scheduled for launch on March 11. You can find out more on the In Fabula-Divino site. This makes you famous now, yes? I think this makes you famous! I’m so excited and so proud – people spend their whole lives dreaming of being published – but look at you – You’re Published!!! Weee! Yes it is exciting! Thank you! No, Pauline, I don’t think Mr Mew will treat me with any more respect. He hates when I write, hence the attempts at destroying my computer. Huge congrats! It was a deserving story. I’ll definitely grab a copy on Monday and promote the links etc.